French cinema is as varied and vital as ever in 2013, and this year’s edition of Rendez-vous with French Cinema covers the wide spectrum from grand and engaging entertainments like Régis Roinsard’s Populaire (Opening Night) to the work of uncompromising auteurs like Jean Claude Brisseau and Damien Odoul, rising independent voices including Héléna Klotz and Shalimar Preuss, and master filmmakers François Ozon, Patrice Leconte, Raymond Depardon, Nicolas Philibert, and the late Claude Miller. Presented by Unifrance Films and the Film Society of Lincoln Center. Additional screenings take place at the IFC Center and BAM, visit rendezvouswithfrenchcinema.com for more information. Opening Night, U.S. Premiere! Director Régis Roinsard, actors Romain Duris and Deborah François in person! 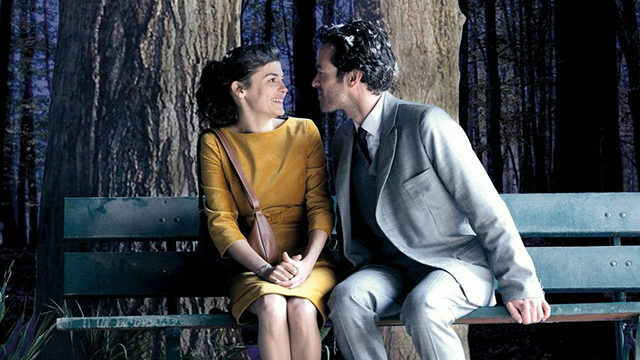 Stuck in the provinces of 1950s France, Rose (Deborah François) is taken under the wing of her handsome boss (Romain Duris) and develops astonishing skills as a high-speed typist, leading to unexpected fame. Across the span of a night in Paris, two lads guided purely by impulse and desire explore their emotional and physical limits in Klotz’s impressively mesmerizing feature debut. A look at the relationship between pioneering 19th century French neurologist Dr. Jean-Martin Charcot and his star teenage patient, kitchen maid who is left partially paralyzed after a seizure. Director Patrick Mille in person! An unconventional family’s complex web of relations and legacies come to a peak with a mother’s (Carole Bouquet) health crisis and her daughter’s own life changes. Director Jean-Christophe Dessaint in person! A wild child raised in the woods encounters the outside world in this enchanting hand-drawn animated feature featuring the voices of Jean Reno and Claude Chabrol in his last film credit. Rescuing a young woman from the clutches of a thug, a retired math teacher (Brisseau, himself) finds in her a muse and possibly a mystical agent opening new gates of perception—and perhaps death. In Podalydes’ latest comedy, a pharmacist, emotionally pulled between a wife he’s not quite divorced from and his needy lover, contends with the death of a grandmother he barely knew. Director François Ozon in person! Swept up in the increasingly dazzling and inventive fiction writing of a precocious student, a high school literature teacher and frustrated author (Fabrice Luchini) married to a gallerist (Kristin Scott Thomas) sees real life overtake fiction. A true sports story that utterly defies the odds, Duguay’s film captures the wild ups and downs of the Olympics-bound equine star Jappeloup and his troubled rider’s (Guillaume Canet) tense relationship with his horseman father (Daniel Auteuil). Depardon’s brilliant self-portrait takes a surprising point of view on the great documentarian’s life—not only as a filmmaker, but as a photographer and maker of precise, expressive images capturing the entirety of French society over the decades. Director Ilmar Raag in person on March 4! A stunning, flinty and memorable Jeanne Moreau is the living, breathing center of Raag’s chamber drama of the testy, complicated relationship between an elderly Estonian woman in permanent Parisian exile (Moreau) and her wary Estonian maid (Laine Magi). Preuss’ uncommonly sensitive and nuanced debut follows the eldest daughter of a family on holiday as she balances her growing desires for a prison inmate with her heartfelt but fraying familial love. Director Guillaume Nicloux in person! Drawing on the same Denis Diderot classic as Jacques Rivette’s 1966 drama, Nicloux’s version provides a fresh take on the story of a young woman’s (a stunning Pauline Etienne) harrowing experiences in nunneries, one run by a too-loving Mother Superior (Isabelle Huppert). A tormented young Parisian (Romain Duris) is adored by his long-suffering lover (Charlotte Gainsbourg), clung to by his needy best friend, and stalked by an admirer in Chéreau’s most whittled-down vision of self-inflicted loneliness. Director Gilles Bourdos in person! Set during a pivotal time in the lives of master painter Pierre-Auguste Renoir and his war-wounded son Jean, Bourdos’ atmospheric drama explores the ways in which creative powers wax and wane as one generation gives way to the next. Perplexed at the sudden disappearance of her husband, a wife watches hours of videotape that he’s recorded over the previous seven years to piece together some clues. Tsai Ming-Liang’s third feature is at once overtly metaphorical and deeply committed to the ebb and flow of everyday life: a film about individuals in crisis that builds patiently to a devastating emotional climax. When a dashing captain arrives at a home on the banks of the Ganges River, a neighboring girl’s passions are ignited in ways she can barely control. Renoir’s iconic survey of bourgeois French society on the cusp of World War II chronicles a weekend of romantic misadventures on a country estate. Master filmmaker Leconte makes a startling and unforgettable departure from his previous work with this whimsical, animated 3D musical about a family business offering certain special “end-of-life” services. Audrey Tautou stars as a provincial housewife in 1920s France, whose suffocating marriage to a boorish landowner inspires her to a fatal bid for freedom, in the late director Claude Miller&apos;s exquisite adaptation of the classic novel by François Mauriac. Franju’s version adheres closely to the novel’s flashback structure, featuring the brilliant cast of Emmanuelle Riva, Philippe Noiret and Edith Scob. Director Catherine Corsini in person! 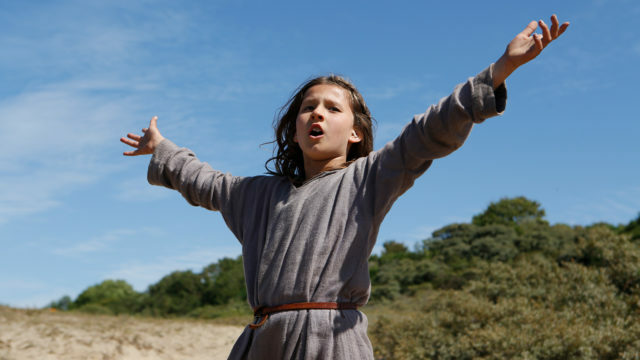 Actor Raphaël Personnaz in person March 6! A hit-and-run accident involving a hot-shot car salesman and an émigré worker from Moldavia triggers a chain of dramatic events with life-altering consequences. Director Jacques Doillon in person! The tentative nature of relationships is explored in dazzling, three-dimensional fashion in this cleverly written and directed roundelay between current and former lovers. Director Gilles Legrand and actor Niels Arestrup in person! Instead of grooming his son to inherit his lucrative wine-growing business, an imperious vintner (Niels Arestrup) looks to a talented California-based grower, rendering a harvest of jealousy and worse. Free event! Creator Eric Viennot and cast member Ludivine Lebec in person! Join Eric Viennot, one of Europe’s leading transmedia designers as he presents ALT_MINDS, an adventure spanning a web series, mobile applications, and live events that thrust the audience into the heart of an action-packed thriller.